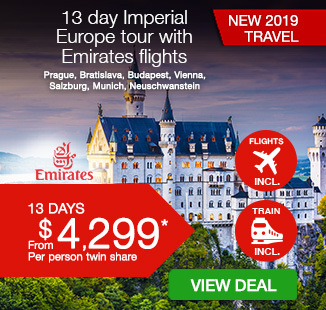 Including return Emirates flights, 7 night luxury cruise on-board a new 2019/2020 built deluxe cruise ship, overnight stays in stunning Dubrovnik, Opatija and Zagreb, delicious breakfast daily, experienced English-speaking Cruise Director and more. 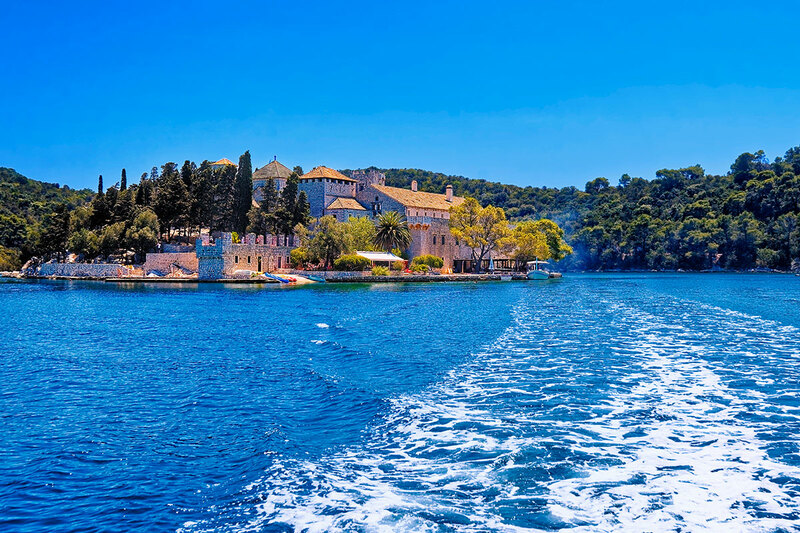 The best way of truly appreciating the spectacular beauty of Croatia’s Dalmatian Coast is from the water – and a luxury cruise. 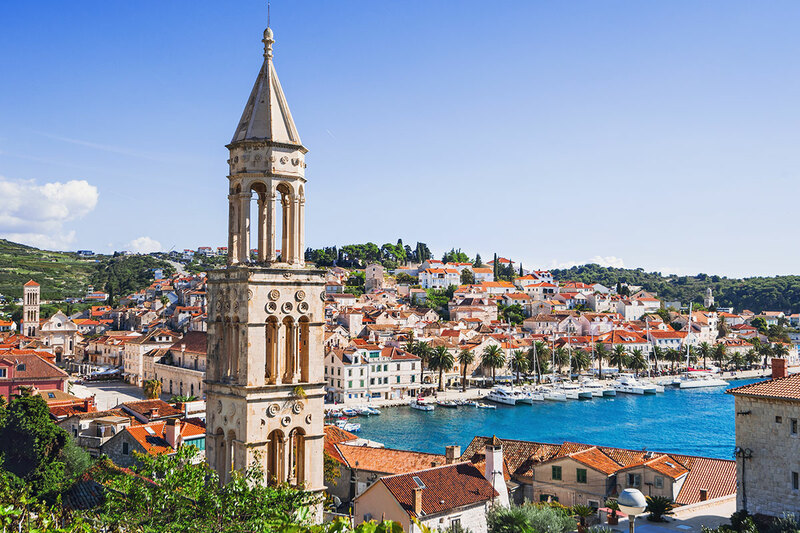 Experience the gorgeous islands, pristine landscape and vibrant local towns aboard a 14 day Highlights of Croatia tour with luxury cruise. Your first touch point with the wonders of Croatia is with one of its most glittering cities: Dubrovnik. A magnet for travellers seeking to explore its limestone-paved streets and imposing stone walls; there could be no better place to start this tour from. Dubrovnik is also the embarkation point for your incredible cruise along the Dalmatian Coast. Step aboard a 2019/2020-built ship; your home for the next 7 nights. 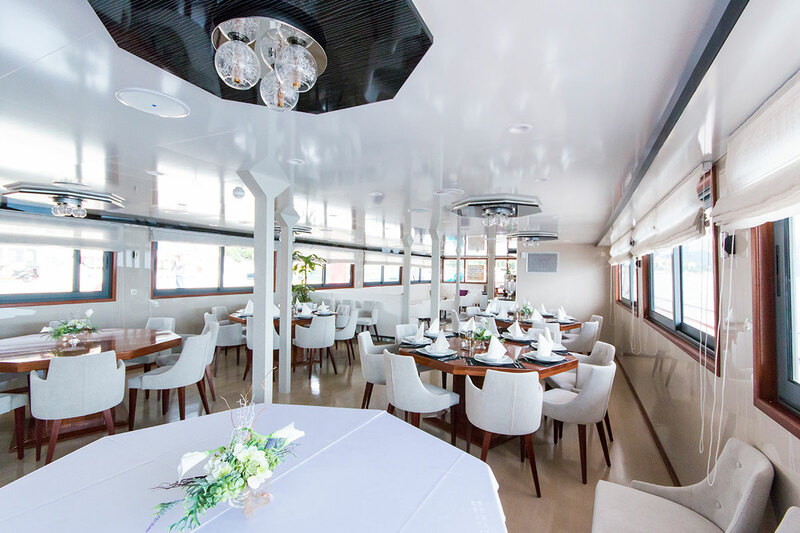 Choose between a balcony or lower deck cabin and begin to get to know your crew and fellow passengers over a delicious three-course welcome dinner. The balcony cabins are especially enticing, featuring full balconies rather than standard French varieties. 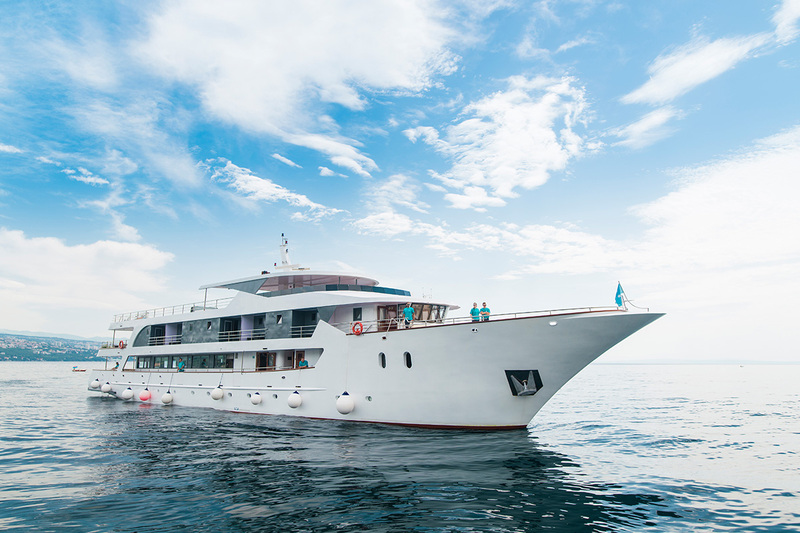 This offering is a rarity on this style of cruising voyage, and passengers will be able to walk out onto their private alfresco space and really soak in the beauty of the seas and coastline. The availability of these balcony cabins never stays plentiful for long and booking your Early Bird journey in Europe is one of the best ways of securing yours in advance. Every day of the cruise promises time in and exploration of a stunningly scenic island, town or landscape. 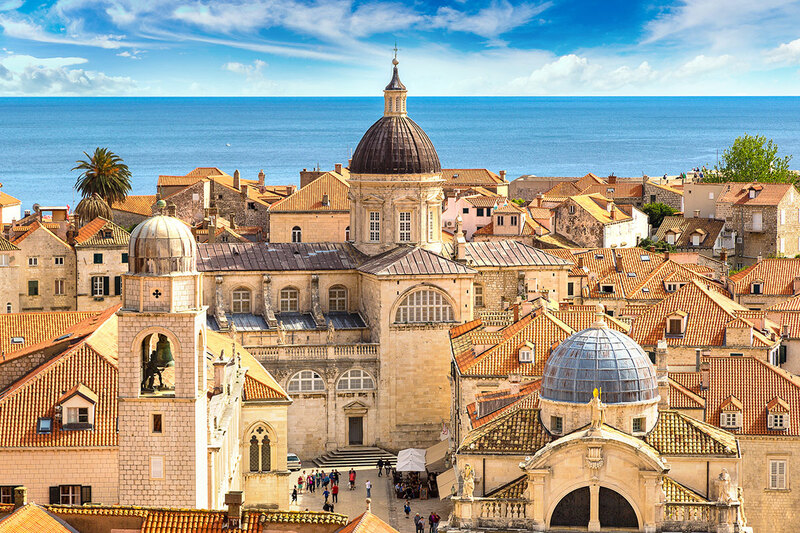 Uncover the delights of the countryside surrounding Dubrovnik and be in awe of the juxtaposition between the area’s terracotta-tiled roofs and the sapphire waters of the Adriatic beyond. 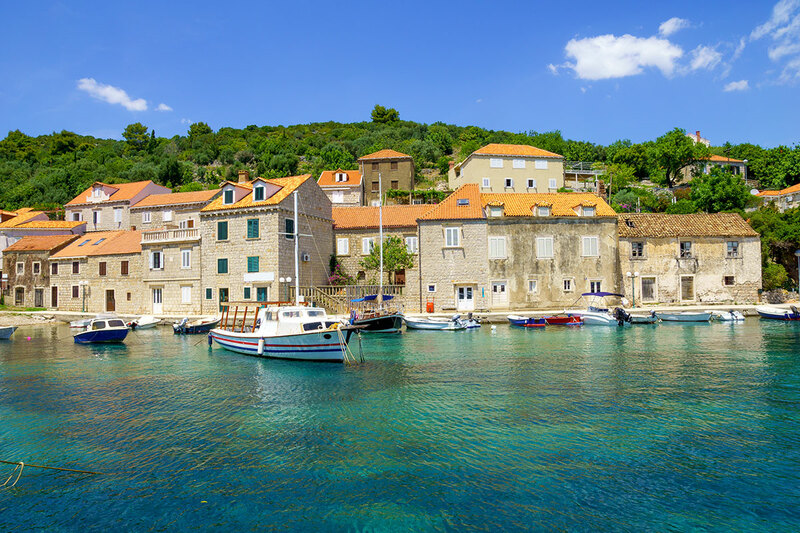 Sample divine oysters in Ston, walk to the turquoise salt lakes found within Mljet National Park, and stroll the atmospheric streets of Korcula. Take in quiet beaches, fishing villages and Greco and Roman ruins on Vis, and bear witness to the natural phenomenon that gives Bisevo’s Blue Cave its name. Look to rub shoulders with the glitterati and jetsetters on Hvar and walk along the pristine white sands of the superb Zlatni Rat beach. 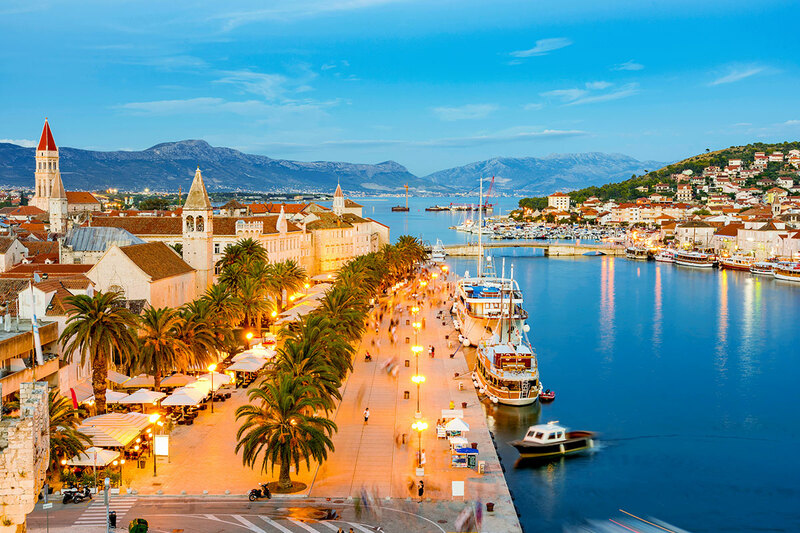 Make your final ports in Trogir and then Split; the latter, home to the magnificent Diocletian’s Palace and a superb waterfront promenade made for afternoon strolls. Leave your sea legs behind as you now discover Croatia’s best mainland sights. 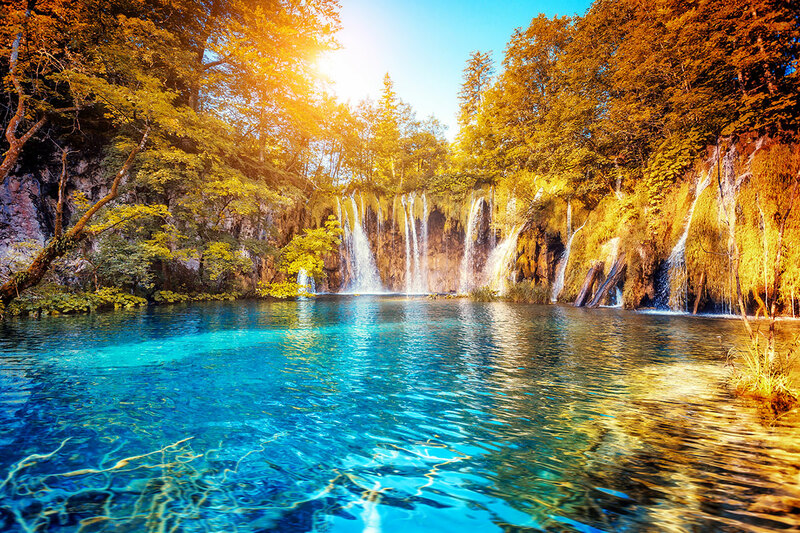 Appreciate the dazzling blue hues of the lakes and graceful waterfalls at UNESCO World Heritage Site-listed Plitvice Lakes National Park and head out onto the water with an electric boat joy ride. Overnight in the gorgeous Opatija, one of Croatia’s oldest cities, and venture into the Istrian region for a wine-tasting at family-run vineyard and time spent exploring the towns of Rovinj, Groznjan and Motovun. Lastly, arrive in Zagreb, the cosmopolitan Croatian capital, and brush up on its local history and culture on a guided tour. 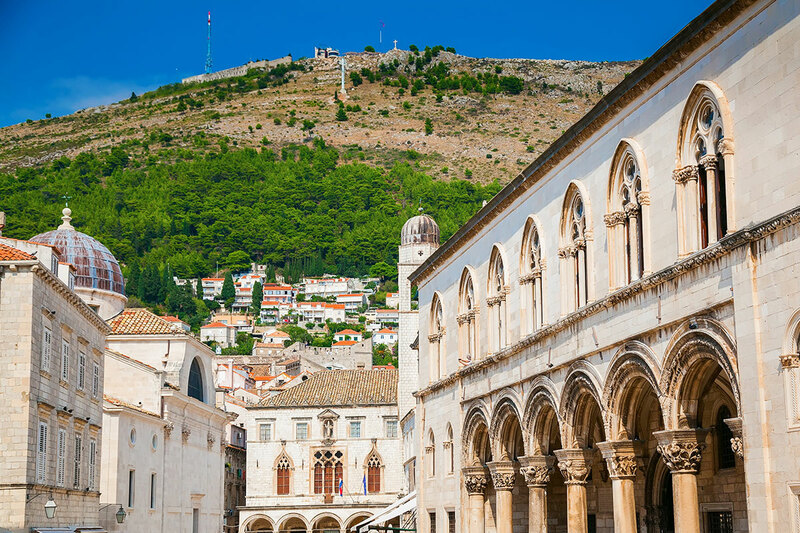 Board your flight bound for Dubrovnik, Croatia. You will be met on arrival in Dubrovnik and taken to the hotel with a private transfer to your hotel. After checking in, take advantage of the hotel facilities or head out and explore the delightful Old Town. Dubrovnik is known as ‘the Pearl of the Adriatic,’ and one of the highlights of this spectacular city is the walls that surround the historic centre. You can even take walk along the top of the 6,365-foot-long walls, which were constructed to defend the city from invaders. Alternatively, take the cable car to the top of Srd Hill for incredible views of the Old Town and Elaphiti Islands. Your ship awaits in Gruz harbor and is available to board from 1pm. Once aboard, you may choose to relax in your cabin or simply drop off your baggage to get a head start in exploring Dubrovnik. You may want to stroll the promenade, called Stradun, which is located inside the city walls and is a hive of activity. Return to the ship where you can get to know the captain, crew and your fellow passengers during the meet-and-greet and welcome dinner. There is also an optional excursion to Montenegro. Travel to Croatia’s neighbour, Montenegro, and take a stroll through the atmospheric, walled old city of Kotor. These historic streets were once even walked by Napoleon. Further around the bay, the Baroque town of Perast awaits with its stunning backdrop against the pristine Kotor Bay. Additional cost applies. This morning you’ll have the opportunity to explore the tranquil countryside near Dubrovnik. This includes having the chance to take in one of the area’s most famous outlooks: endless terracotta rooftops strikingly contrasted against the sapphire sea and the ancient city walls. Your knowledgeable guide will take you on a tour of the Old Town where you’ll see sights including the 15th-century Rector’s Palace, which was built in Gothic Renaissance style; the Baroque church of St. Blaise and the Cathedral of the Assumption of Mary. It is then back on-board the ship to cruise to Sipan Island’s fishing village of Šipanska Luka. 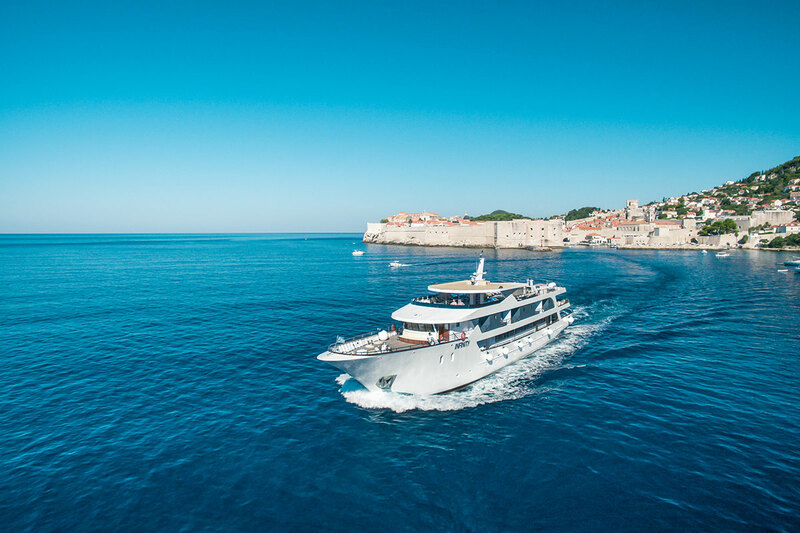 While cruising, you’ll be treated to some of the most dazzling views with blues in nearly every shade stretching out onto the horizon as the city walls of Dubrovnik begin to fade behind you. You’ll get the chance to leap into those clear waters for a swim stop before exploring the town of Slano, a place inhabited since prehistoric times. Next is another treat: sampling mouth-wateringly fresh oysters, a local delicacy in Ston. Next on the agenda is Mljet, one of the Adriatic’s largest and most unspoiled islands. Much of the island is covered by Mljet National Park, which is a favourite with visitors thanks to its untouched landscape and seemingly endless stretches of postcard-perfect sands. According to Homer’s Odyssey, this island was where the nymph Calypso held Odysseus captive for seven years. While on the island you will have the chance to walk to its salt lakes and then take a small boat to St. Mary’s Isle and its 12th-century Benedictine Monastery, both located in the middle of Great Lake. Afterwards, you can choose to explore more by car, scooter, bicycle or kayak. 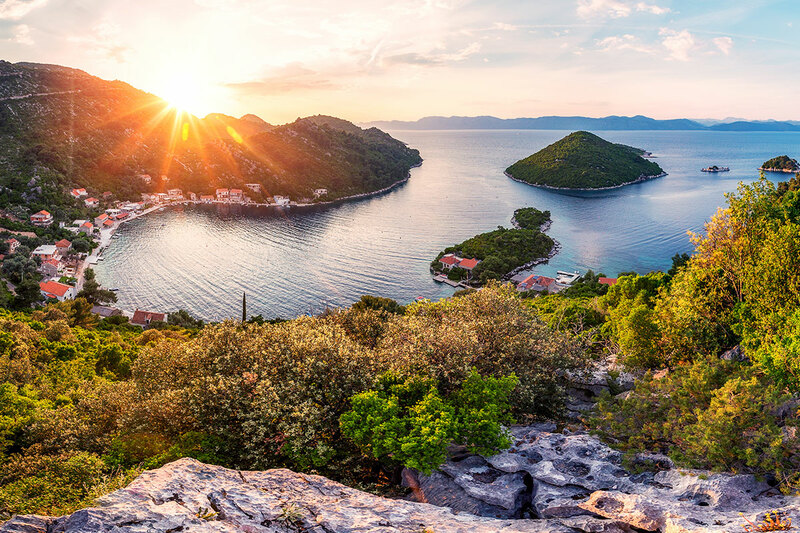 The final stop of the day is Korcula, an inviting island where you’ll stroll the streets with a local guide and then enjoy a tasty meal of Croatian cuisine, complete with local white wine. The cruise moves on to Vis, the furthest inhabited island in Croatia. This island epitomises life in the Adriatic Sea and was used as a filming location for Mamma Mia: Here We Go Again! Vis was previously closed to commercial tourism, used instead as a strategic military base for the Yugoslav Navy. Today, visiting the island is like stepping into a place from another time, with its charming fishing villages and uncrowded beaches. 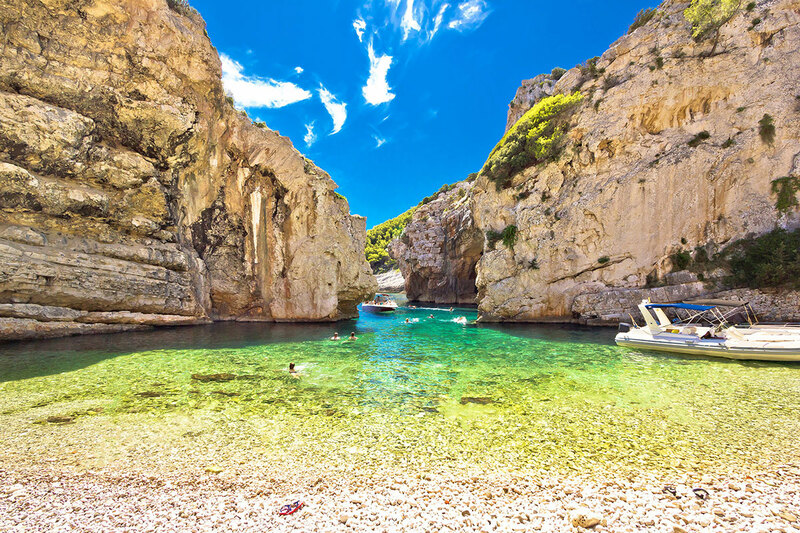 As the ship sails, there will be a stop, so you can enjoy a refreshing dip in one of the nearby secluded coves or bays. Once in Vis town, you’ll be led on a tour that takes in fascinating ruins from the Roman and Greek periods, including Roman baths, magnificent villas and pretty centuries-old churches. Look forward to seeing an especially magical sight today: the Blue Cave. This world-famous cave is accessible only by boat and is located on the small island of Bisevo. 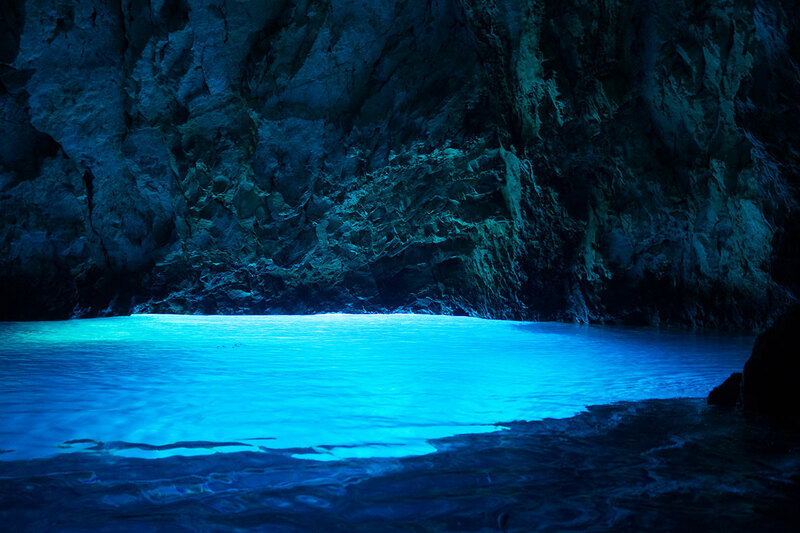 The Blue Cave takes its name from the ethereal event that occurs when sunlight filters through the rock, hits the water and then reflects off the sea bed. This illuminates the cave’s interior in an otherworldly-like blue. After witnessing this spectacle, the group continues cruising to Croatia’s longest and sunniest island, Hvar. This glitzy island is known for attracting jetsetters and there are often plenty of super yachts docked in the harbour. Join the walking tour to discover the more authentic side of Dalmatian life in Hvar town. The world-famous Zlatni Rat beach is just one part of what you’ll have to look forward to today. 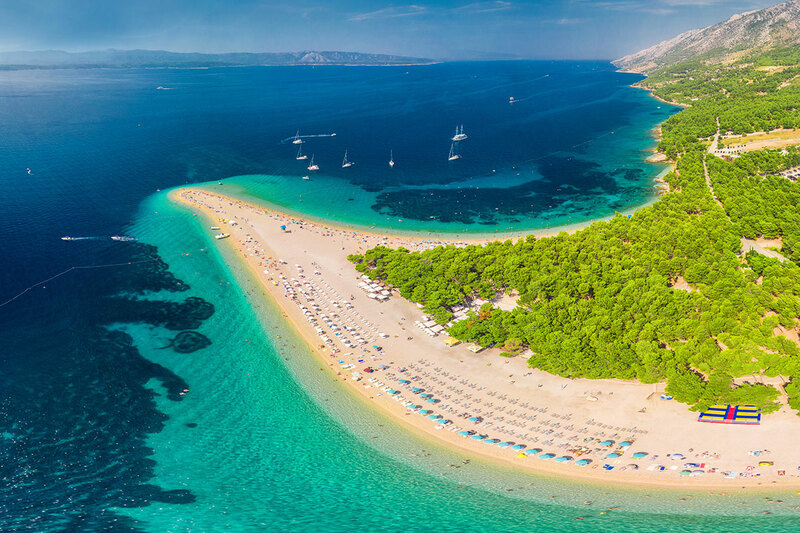 Located on the island of Brac, the highest-elevated island in Central Dalmatia, Zlatni Rat is frequently ranked among Croatia’s most beautiful stretches of sand. 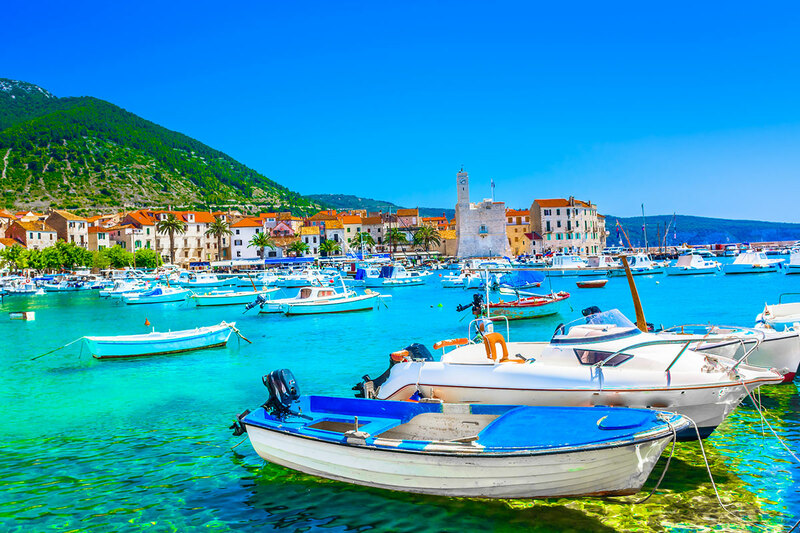 You’ll be able to swim in the stunning aquamarine waters featured on countless postcards before the cruise travels to the next destination, Trogir. This historic and walled down is UNESCO-protected site and is frequently referred to as a ‘town museum’. On arrival, you will tour its centre and admire architecture including towers, churches, palaces, monasteries and traditional stone homes. It is then onto a lavish multi-course dinner hosted by the captain, along with live entertainment. 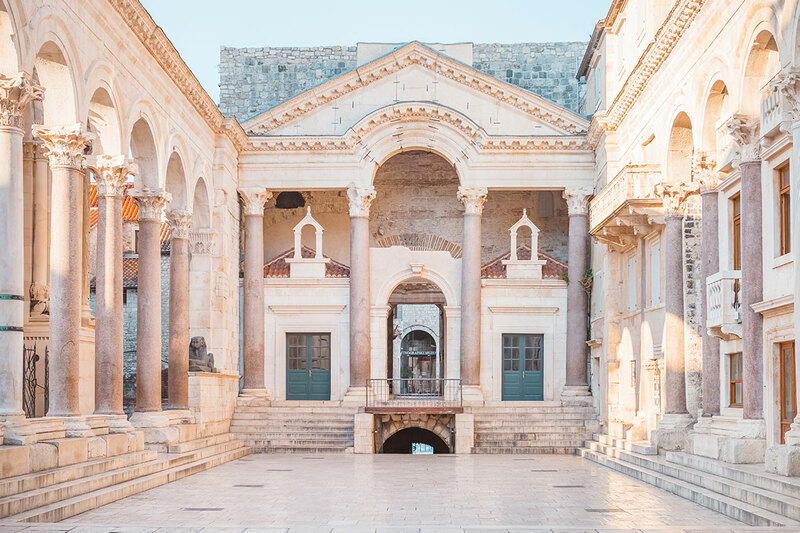 The final destination for the cruise portion of the tour is the alluring coastal city of Split, known for its fortress-like Diocletian’s Palace, which was built for the Roman Emperor Diocletian in the 4th-century. Wander the cobbled streets, gazing up at the impressive architecture that covers some 2,000 years of history. You’ll have the chance to explore the palace complex on your own, or opt to walk the seaside promenade, discover the varied beaches ranging from sandy to pebbled shores, and perhaps head to the top of Sveti Djue Cathedral (Cathedral of Saint Domnius) to take in the incredible view over the city. 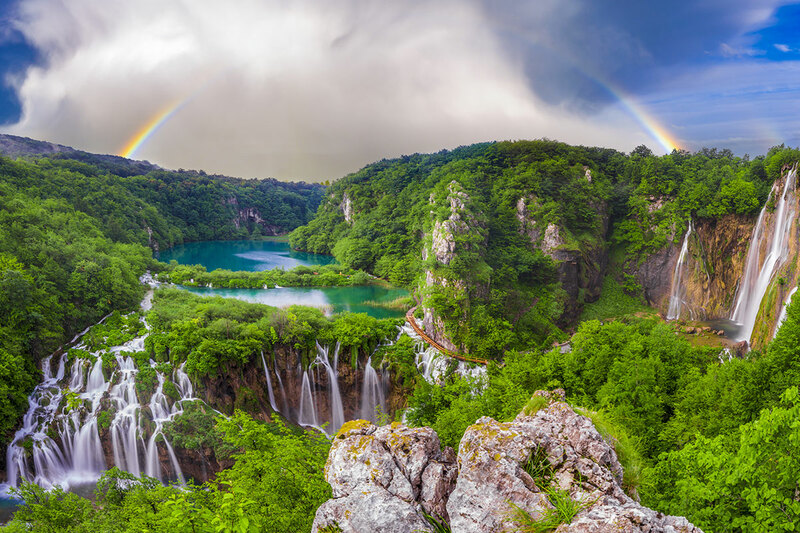 You have an early departure from the ship with a transfer that takes you to the UNESCO World Heritage Site-listed Plitvice Lakes National Park. Admire the diversity of flora and fauna that inhabits the lush landscape of this forest reserve. Admire the park’s breathtaking waterfalls from wooden bridges and pathways and view the magnificent Veliki Slap on a guided tour. Explore the 16 interconnected, terraced crystal-clear lakes on a memorable electric boat ride. Then transfer to your overnight accommodation in Opatija, which is one of the oldest cities in Croatia. Once in the city, make like the locals and take a leisurely stroll along the picturesque 12-kilometre-long Riviera promenade. Today’s agenda features an insightful tour of the dreamy Istrian region, which is dotted with traditional hilltop villages. 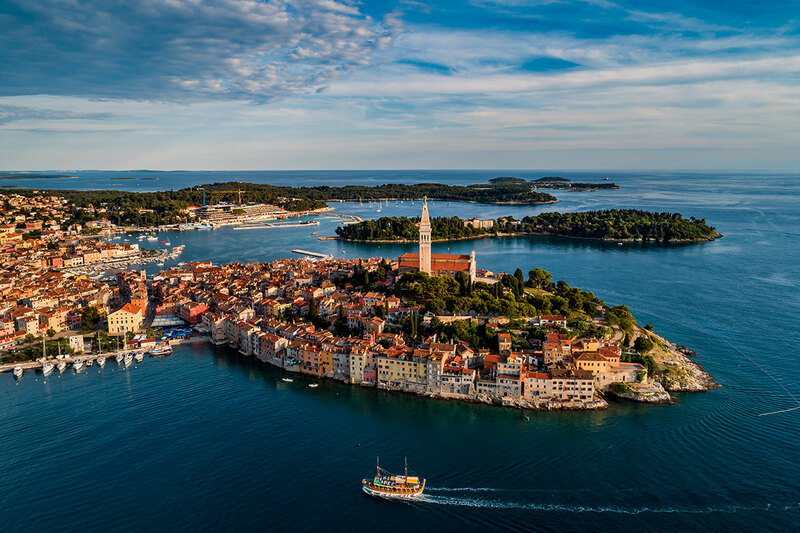 Visit charming Rovinj and take in the narrow cobblestone streets, delightful stairways and arches that make the Old Town a sightseeing splendour. Visit the enchanting hilltop artist villages of Groznjan or Motovun; both with vibrant atmospheres and labyrinthine cobbled streets lined with shops offering arts and crafts. 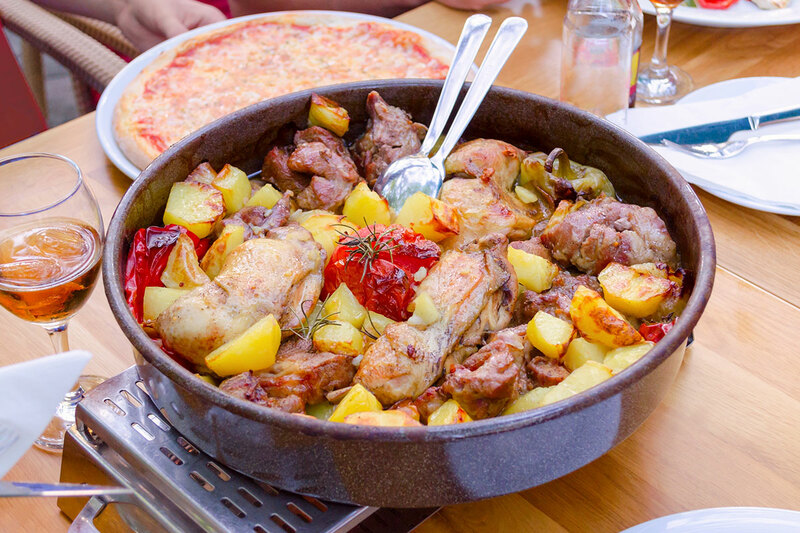 You will meet the friendly locals and sample locally-produced dishes. A highlight is the visit to the Kozlovic Winery, which has been a family-run vineyard for four generations. You will be transferred to the country’s picturesque capital, Zagreb, the hub of the Croatia’s cultural and economic infrastructure. Packed with art galleries, museums, restaurants and trendy cafes, the vibrant city lives and breathes its historic importance. The city’s streetscape is made up of classicist and secessionist facades, leafy green shaded parks and delightful promenades; there is always an interesting nook or corner of the city to discover and explore. 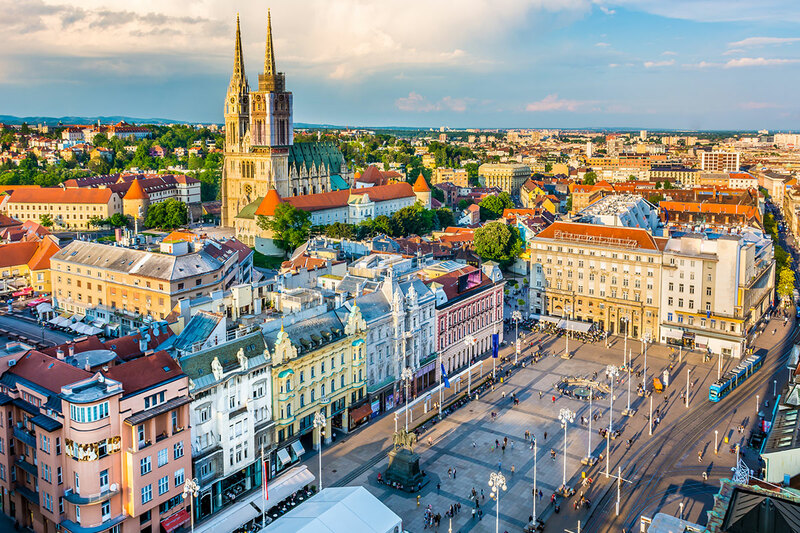 Join a guided tour of Zagreb’s attractions and sights upon arrival and learn all about the city’s rich and diverse history as you roam its cobblestone streets. After breakfast, you will be transferred to Zagreb airport for your return flight to Australia. 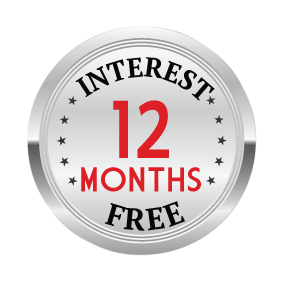 A deposit of $799 per person is due at the time of purchase in order to secure your date. Documentation: Documentation will be provided after final payment is complete and within 30 days of travel, including E-Ticket instructions, hotel confirmation, itinerary extension & optional tour confirmation (where applicable) and destination travel tips. Please purchase one twin share voucher and then purchase your single supplement. Please note that a limit for Single Supplement applies, please check availability and make a purchase by clicking here. Tour Only: Navigate to the yellow “Tour Only” button and select “Book Now” to view live availability. 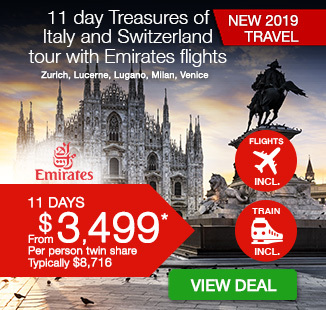 Note, Tour Only option does not include return international flights and airport transfers (if applicable) and commences on Day 2 of the flight-inclusive itinerary. Travellers are required to make their own way to the hotel on Day 2. 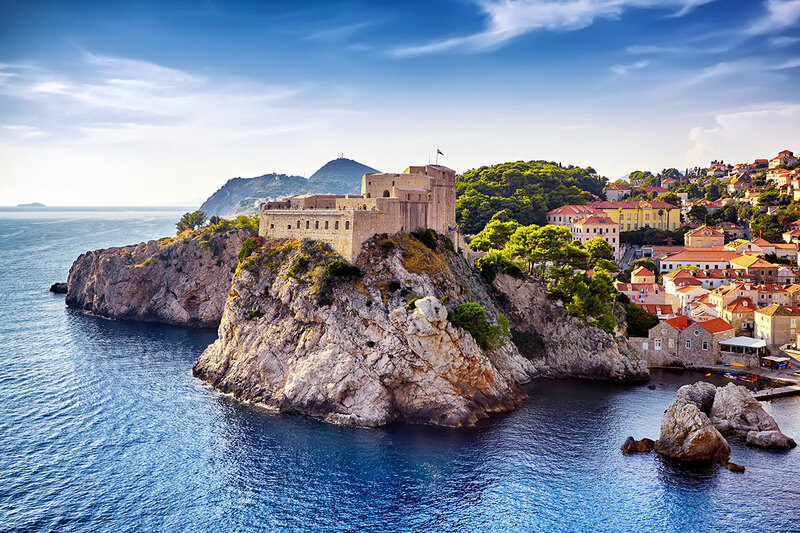 Dubrovnik: Day trip to Montenegro – $132 per person. Optional Tours requested within 65 days of travel cannot be accepted. Itinerary: Please note, the tour itinerary is subject to change without prior notice based upon weather, a traffic condition and other unforeseen occurrences. Tour Only option – Navigate to the yellow “Tour Only” button and select “Book Now” to view live availability.